Equinox Travel, Antalya, Termessos & Lycia with Nancy Pearlman from Eco News, September, 2016. Equinox Travel, Lycian Cruise with Prof. Jennifer Tobin, September 2016. Equinox Travel, 4×4 Off Road trip to Mid Tauros Mountains (Geyik Mountains), July 2016. Equinox Travel, Trekking Through Pisidia, April 2016. Equinox Travel, British Institute at Ankara Pisidia Survey Walks December 2015. Equinox Travel, Tauros Mountains, Cappadocia & Aladaglar 4×4 Adventure, June 2015. Equinox Travel, 4×4 Lycian Adventure with Bridgestone Turkey, May 2015. Equinox Travel’s South East Turkey Archaeogical & Cultural Tour , November 2014. Equinox Travel’s Incentive off road & jeep tour to Tauros Mountains for four days, June 2014. 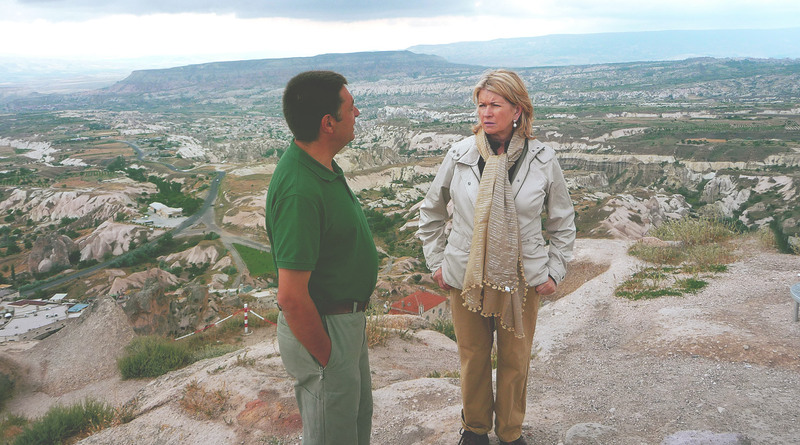 Martha Stewart show, Cappadocia Part, organization and lecture, June 2010. IUP University Tour to Turkey, May 2011. Deleeuw International, Cappadocia Team Building, April 2011.